Blood transfusion therapy involves transfusing whole blood or blood components (specific portion or fraction of blood lacking in patient). One unit of whole blood consists of 450 mL of blood collected into 60 to 70 mL of preservative or anticoagulant. Whole blood stored for more than 6 hours does not provide therapeutic platelet transfusion, nor does it contain therapeutic amounts of labile coagulation factors (factors V and VIII). Packed RBCs (100% of erythrocyte, 100% of leukocytes, and 20% of plasma originally present in one unit of whole blood), indicated to increase the oxygen-carrying capacity of blood with minimal expansion of blood. Leukocyte-poor packed RBCs, indicated for patients who have experience previous febrile no hemolytic reactions. Platelets, either HLA (human leukocyte antigen) matched or unmatched. Fresh frozen plasma, containing all coagulation factors, including factors V and VIII (the labile factors). Single donor plasma, containing all stable coagulation factors but reduced levels of factors V and VIII; the preferred product for reversal of Coumadin-induced anticoagulation. Cryoprecipitate, a plasma derivative rich in factor VIII, fibrinogen, factor XIII, and fibronectin. Factor IX concentrate, a concentrated form of factor IX prepared by pooling, fractionating, and freeze-drying large volumes of plasma. Factor VIII concentrate, a concentrated form of factor IX prepared by pooling, fractionating, and freeze-drying large volumes of plasma. Prothrombin complex, containing prothrombin and factors VII, IX, X, and some factor XI. Avoids the risk of sensitizing the patients to other blood components. Provides optimal therapeutic benefit while reducing risk of volume overload. Increases availability of needed blood products to larger population. Generally indicated only for patients who need both increased oxygen-carrying capacity and restoration of blood volume when there is no time to prepare or obtain the specific blood components needed. 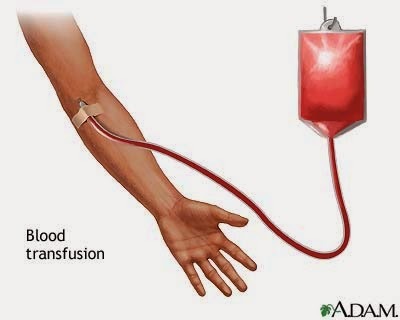 Should be transfused over 2 to 3 hours; if patient cannot tolerate volume over a maximum of 4 hours, it may be necessary for the blood bank to divide a unit into smaller volumes, providing proper refrigeration of remaining blood until needed. One unit of packed red cells should raise hemoglobin approximately 1%, hemactocrit 3%. Administer as rapidly as tolerated (usually 4 units every 30 to 60 minutes). Each unit of platelets should raise the recipient’s platelet count by 6000 to 10,000/mm3: however, poor incremental increases occur with alloimmunization from previous transfusions, bleeding, fever, infection, autoimmune destruction, and hypertension. May be beneficial in selected population of infected, severely granulocytopenic patients (less than 500/mm3) not responding to antibiotic therapy and who are expected to experienced prolonged suppressed granulocyte production. Because plasma carries a risk of hepatitis equal to that of whole blood, if only volume expansion is required, other colloids (e.g., albumin) or electrolyte solutions (e.g., Ringer’s lactate) are preferred. Fresh frozen plasma should be administered as rapidly as tolerated because coagulation factors become unstable after thawing. Indicated to expand to blood volume of patients in hypovolemic shock and to elevate level of circulating albumin in patients with hypoalbuminemia. The large protein molecule is a major contributor to plasma oncotic pressure. Indicated for treatment of hemophilia A, Von Willebrand’s disease, disseminated intravascular coagulation (DIC), and uremic bleeding. Indicated for treatment of hemophilia B; carries a high risk of hepatitis because it requires pooling from many donors. Indicated for treatment of hemophilia A; heat-treated product decreases the risk of hepatitis and HIV transmission. Prothrombin complex-Indicated in congenital or acquired deficiencies of these factors. Verify doctor’s order. Inform the client and explain the purpose of the procedure. Screening test (VDRL, HBsAg, malarial smear) - *this is to ensure that the blood is free from blood-carried diseases and therefore, safe from transfusion. Warm blood at room temperature before transfusion to prevent chills. Identify client properly. Two Nurses check the client’s identification. Use needle gauge 18 to 19. This allows easy flow of blood. Use BT set with special micron mesh filter. To prevent administration of blood clots and particles. Start infusion slowly at 10 gtts/min. Remain at bedside for 15 to 30 minutes. Adverse reaction usually occurs during the first 15 to 20 minutes. Monitor vital signs. Altered vital signs indicate adverse reaction. Do not use blood transfusion lines for IV push of medication. Administer 0.9% NaCl before; during or after BT. Never administer IV fluids with dextrose. Dextrose causes hemolysis. Administer BT for 4 hours (whole blood, packed RBC). For plasma, platelets, cryoprecipitate, transfuse quickly (20 minutes) clotting factor can easily be destroyed. Observe for potential complications. Notify physician. Allergic Reaction – it is caused by sensitivity to plasma protein of donor antibody, which reacts with recipient antigen. Septic Reaction – it is caused by the transfusion of blood or components contaminated with bacteria. Circulatory Overload – it is caused by administration of blood volume at a rate greater than the circulatory system can accommodate. Hemolytic reaction. It is caused by infusion of incompatible blood products. Low back pain (first sign). This is due to inflammatory response of the kidneys to incompatible blood. Clinical manifestations of transfusions complications vary depending on the precipitating factor. Manifestations of infectious disease transmitted through transfusion may develop rapidly or insidiously, depending on the disease. Meticulously verifying patient identification beginning with type and cross match sample collection and labeling to double check blood product and patient identification prior to transfusion. Inspecting the blood product for any gas bubbles, clothing, or abnormal color before administration. Beginning transfusion slowly ( 1 to 2 mL/min) and observing the patient closely, particularly during the first 15 minutes (severe reactions usually manifest within 15 minutes after the start of transfusion). Transfusing blood within 4 hours, and changing blood tubing every 4 hours to minimize the risk of bacterial growth at warm room temperatures. Preventing infectious disease transmission through careful donor screening or performing pretest available to identify selected infectious agents. Preventing GVH disease by ensuring irradiation of blood products containing viable WBC’s (i.e., whole blood, platelets, packed RBC’s and granulocytes) before transfusion; irradiation alters ability of donor lymphocytes to engraft and divide. Preventing hypothermia by warming blood unit to 37 C before transfusion. Removing leukocytes and platelets aggregates from donor blood by installing a microaggregate filter (20-40-um size) in the blood line to remove these aggregates during transfusion. Stop the transfusion immediately, and notify the physician. Disconnect the transfusion set-but keep the IV line open with 0.9% saline to provide access for possible IV drug infusion. Send the blood bag and tubing to the blood bank for repeat typing and culture. Draw another blood sample for plasma hemoglobin, culture, and retyping. Collect a urine sample as soon as possible for hemoglobin determination. Treatment for hemolytic reaction is directed at correcting hypotension, DIC, and renal failure associated with RBC hemolysis and hemoglobinuria. Febrile, nonhemolytic transfusion reactions are treated symptomatically with antipyretics; leukocyte-poor blood products may be recommended for subsequent transfusions. In septic reaction, treat septicemia with antibiotics, increased hydration, steroids and vasopressors as prescribed. For circulatory overload, immediate treatment includes positioning the patient upright with feet dependent; diuretics, oxygen and aminophylline may be prescribed. If blood transfusion reaction occurs. STOP THE TRANSFUSION. Place the client in fowler’s position if with SOB and administer O2 therapy. The nurse remains with the client, observing signs and symptoms and monitoring vital signs as often as every 5 minutes. 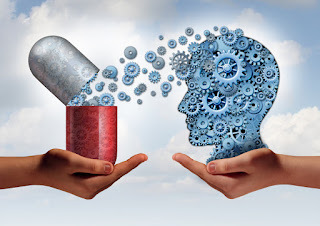 The nurse prepares to administer emergency drugs such as antihistamines, vasopressor, fluids, and steroids as per physician’s order or protocol. Obtain a urine specimen and send to the laboratory to determine presence of hemoglobin as a result of RBC hemolysis. Blood container, tubing, attached label, and transfusion record are saved and returned to the laboratory for analysis. The patient maintains normal breathing pattern. The patient demonstrates adequate cardiac output. The patient reports minimal or no discomfort. The patient maintains good fluid balance. The patient remains free of infection. The patient maintains good skin integrity, with no lesions or pruritus. The patient maintains or returns to normal electrolyte and blood chemistry values. Multi Organ Dysfunction Syndrome ppt. INFLAMMATORY CONDITIONS OF HEART ppt. Assessing Dehydration in Children ppt.